Just-In-Time Delivery - The Mohawk Advantage - Mohawk Electrical Systems, Inc. When it comes to manufacturing, just-in-time delivery is a crucial part of mutual success between the vendor and customer. At Mohawk, the company prides itself on it’s 99% on-time delivery average for shipments in 2017. 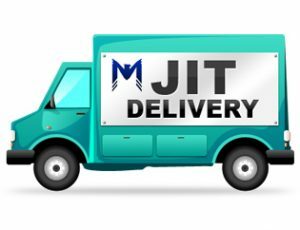 Over the past 5 years, Mohawk’s just-in-time (JIT) delivery averaged 98% between 2013 and 2017. There are three major components to ensure Just-In-Time Delivery: Raw Components, Sub-Assemblies, and Finished Products. So what makes JIT a successful component in the manufacturing arena? Read on to find out. In manufacturing, there will always be out-sourced, sub-assemblies that need to be anticipated with an order. 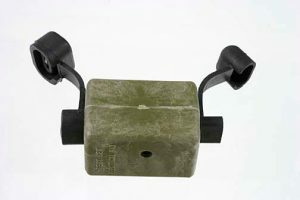 In retrospect to Mohawk, the Claymore Weapon System is manufactured in-house from start to finish. However, moldings for the case are needed from outside company, making it a raw component. Aligning production schedules with the outside vendor is important for on-time delivery, for both the manufacturer and end-user. With respect to raw components, as stated above, they are similar in need. When manufacturing ‘Precision Life’s Critical Assemblies’ it is important to have substitutes in the inventory if an outside vendor part is faulty or missing component stages. Sub-assemblies are needed as a ‘just-in-case’, assurance for both the manufacturer and customer that their order is being completed and anticipated through all stages of production, ensuring JIT delivery. 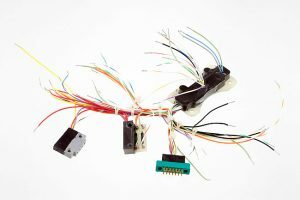 Completed wire harness with raw components assembled. As a consumer, the biggest concern when purchasing the product or service is the delivery of the solution needed. As a custom contract manufacturer, unless the order for the component is on-going, inventory level is low, except for sub-assemblies. In order for Mohawk to keep a harmonious work environment, the main target is to work the delivery into the production schedule, and not have it be it’s own separate event. Until the order is ready to ship, the shop order is not closed. At Mohawk, JIT delivery is the final stage of production, and the bold type on the internal production schedule. Just-In-Time Delivery is a crucial part of the production process. Want to work with a manufacturer who values the delivery process? Contact Us, today.